When the calendar page turned to June, and the heat turned up. Kids like Max don't like the heat. We've learned a few tricks along the way to try to keep him cooler in the hot summer days. I wanted to share them with you all. There one thing that he wears to keep him coolest is a cooling vest. We put this on him when we go out and about on a hot day. It does get him a little wet, but sitting in his chair all the time definitely makes him extra hot. And moving air on the wet vest acts as a sort of air conditioner. When we don't want to put the vest on him, we'll either put on a wet bandana on his head, or one of these cooling bandanas. 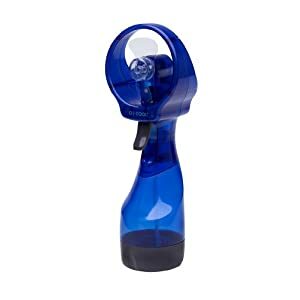 Another quick way to cool our kids in wheelchairs is to spray with a water misting fan. 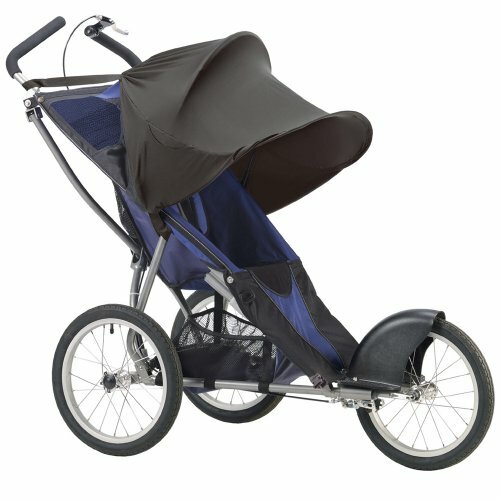 When he still fit in strollers, we used this extended shade. It was great, but I wish it would fit on his wheelchair which doesn't have a shade. Do you have any tricks or gear you use with your kiddos to help keep them cool? It's worked well for Max...hope it works for Cody too!